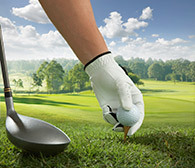 Order with confidence from the experienced and friendly team who make up Pemberton's Golf Diaries. Having supplied golf clubs throughout the UK for over 30 years, customers can rest assured their bespoke diary is in good hands. We can offer advice and guidance to ensure you provide your members with exactly the right product, at a price that's right for the club. Located in the Midlands we benefit from good access to the central transport links, providing fast and reliable distribution.